L’Embellie offers a wide range of hair solutions for men, women and children, for a smooth transition in the event of hair loss. Our main partner, Elite-hair, makes beautiful, highly natural hair solutions. Whether you are looking for a modern or classic hairstyle, made from human or synthetic hair, you will find a style and color to suit you. We are here to give customized advice and help you find a solution tailored to your situation. 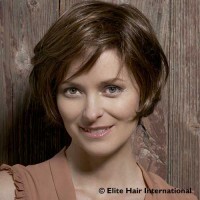 Today there are various solutions to partial hair loss. 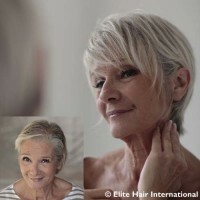 Be it one of many volume systems that come in different styles and colors, fringes to wear under a turban or to clip to your hair, hair loss concealers… Together, we will find the best solution for you. Functional and attractive, they are designed with your comfort in mind. L’Embellie is always looking for new headwear (turbans, bonnets, toques, scarves, caps, hats) so that you can find styles and colors that are to your taste and make you look your best. We pay particular care to the materials used, choosing bamboo, high-quality cotton and silk so that they are both beautiful and comfortable to wear. The models change with the seasons and new collections. To find your silhouette again, L’Embellie enables you to stay feminine with style thanks to a wide range of prostheses specifically designed for women who have undergone breast cancer surgery. With different materials, shapes and qualities to choose from, we will help you find a made-to-measure result adapted to your morphology. Feminine models are available all year round for your beauty and comfort, supplemented by 2 collections a year to add novelty and color (in March and September). A large selection of bras from different brands, fitted with pockets, most without underwires, in high-quality soft materials or cotton, in sizes from 85 to 130 and all cup sizes. Our one-piece swimsuits, bikinis and tankinis all have discreet pockets to give you complete peace of mind when swimming, at the beach or at the pool. We stock brands Amoena, Anita, Garance and Marli to give you the choice of sizes 36 to 54. 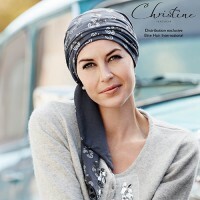 The Belgian-made LookHatMe turban collection is available at L’Embellie. Come and try them: elegant prints, high-tech or ultra-light textiles that marry comfort with style. We have selected natural products adapted for skin that has been made sensitive by cancer treatments: hair, skin and nail care as well as makeup for your everyday comfort and beauty routine.